OPTIMALER GRIP FÜR DIE STICKS DEINES CONTROLLERS! Gaming gets intense. There's nothing worse than preparing yourself to score that vital goal, finishing off that end-of-level boss or taking your friend down with a headshot only to be on the receiving end because your finger slipped off the thumbsticks! Time to get traction on the action! 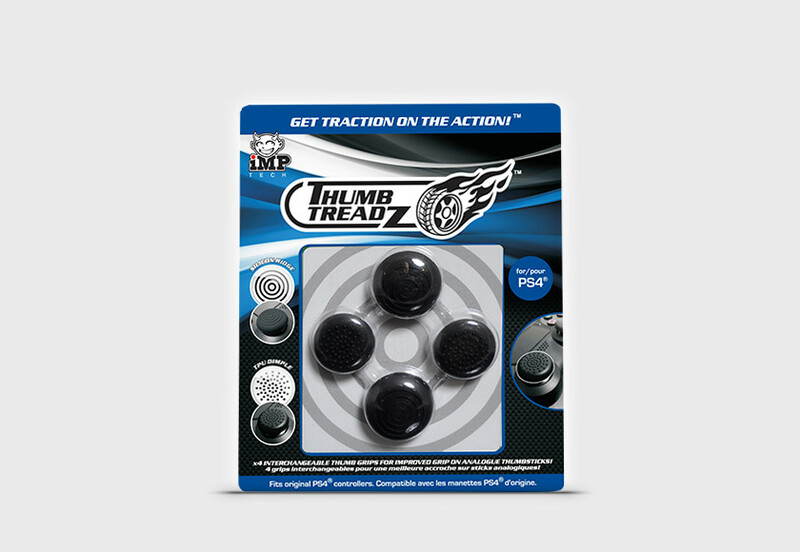 Thumb Treadz™ provide increased comfort and grip for your original gaming controllers. Each pack contains 2 designs; TBU Dimple and Silicon Ridge. Choose your grips for your preferred playing style or mix it up! Die Thumb Treadz vergrößern die Auflagefläche des Daumen auf dem Thumbstick und verbessern so in Kombination mit ihrer rutschfesten Oberfläche die Kontrolle, auch wenn es mal etwas hitziger zugeht.